Life is filled with moments that deserve a little extra special treatment. There is nothing wrong with wanting to feel like a princess whenever the mood takes you. Make every moment, a fairytale one with a tiara firmly on your head. If feeling like a princess is a number one priority on your list, you have come to the right place. 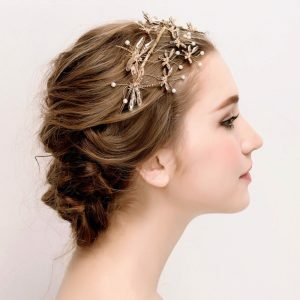 Allow us to share with you tips, and tricks on how best to wear your tiara on any special occasion. You will learn how to make the right selection, and what you need to consider whilst making that selection. Find out what a wide array of tiaras are available to you. Your wedding day will never be more spectacular. Every girl dreams of being a fairytale princess. Dressing up, and playing the part is a wonderful part of growing up. Let us show you how you can share some memorable moments with your children creating tiaras from items that you have lying around at home. If you would much rather tackle your tiara on your own, there are loads of ideas on how to create an accessory that will make you the talk of the town. Be the first to find out news on upcoming princess movies, and games. Never miss out on a princess moment. You have all the information right at your fingertips. We hope that you enjoy your little piece of a fairytale world with us, and perhaps take some back with you to perfect reality.